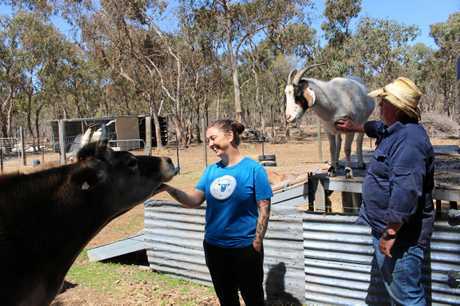 WHEN Natalie and Brett Stevenson started Cranky's Farm eight years ago they didn't expect to be rescuing cattle from drought-stricken farms. Despite already caring for 20 rescue animals, they always have room for one more at their sanctuary in The Summit. 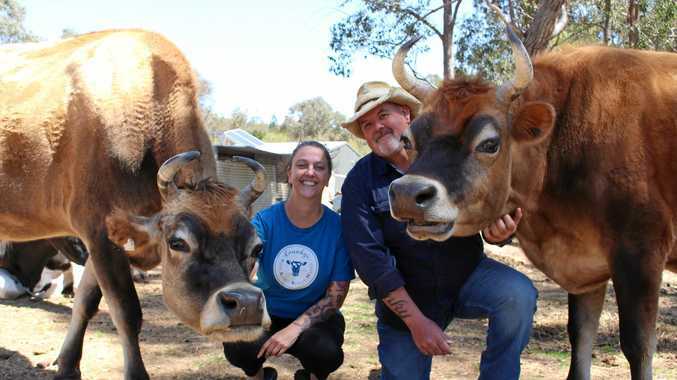 The couple are preparing for the arrival of a steer this week who had been living on an agistment property in Currumbin which ran out of grass. "They're having to feed all of the animals that are production animals on the property and they just can't afford to feed him," Mrs Stevenson said. "That's not even particularly in a drought area - it's a lack of hay as well as a lack of grass. "This is the worst. We've been here since 2010 and this is the absolute worst so far." As a charity organisation, they aren't eligible for the Buy a Bale program which Mrs Stevenson said resulted in costs going up. "The fundraising group has $1million now so they're buying up all of the hay. "So what is happening is there's very little hay for everyone else and it's ridiculously priced. "For anybody who can't use the Buy a Bale program like us... they're all having to pay ridiculous prices per bale. We just paid $180 for a round bale which should cost around $110. "The only thing we can do is fundraise." 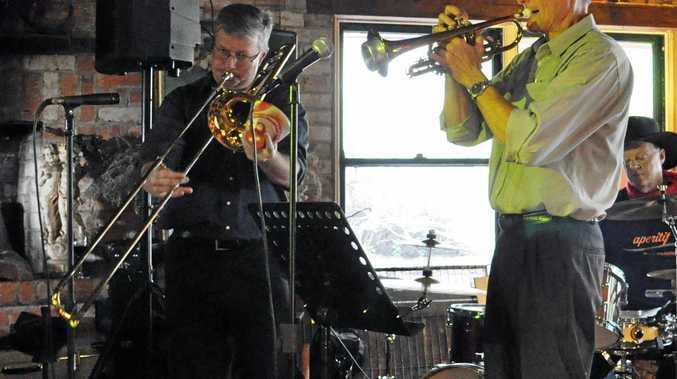 Although the couple have owned the sanctuary since 2010, they only sought charity status in January this year. "We had so many people coming to us wanting to help and we wanted to do it officially," Mr Stevenson said. "Up to then we self-funded all of these guys ourselves." 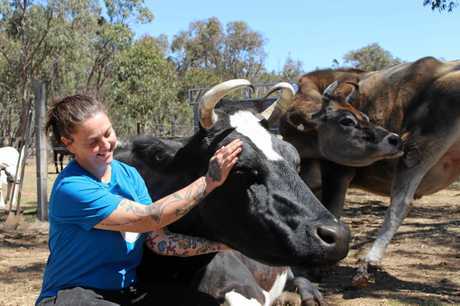 The pair work full time in Brisbane meaning they only take on animals that don't need care seven days a week. "We haven't had any issues and we've been here since 2010," Mrs Stevenson said. "As long as we leave them enough food, which obviously in the drought is more of a challenge." They recently started a sponsorship program for the animals currently on the farm - but only as a means for taking on more rescues. Despite the tough conditions, the pair still want anyone who has an animal they can't feed to consider bringing them to their sanctuary. "We haven't had to say no, we would rather be hungry than say no," Mrs Stevenson said. "Once the funds from the charity run out, ours are just going to kick back in."